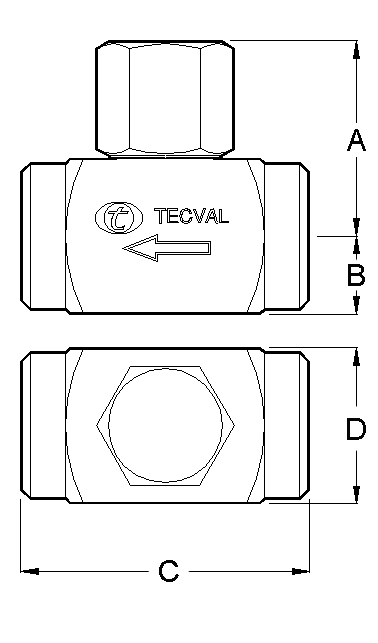 TECVAL VR-01 poppet check valves are designed to work with liquids under both high pressure and temperature service. They open at a fixed low pressure and close immediately the moment the flow reverses. They are commonly used in chemical plants, water treatment plants, refineries, laboratories and power stations, as well as in general industry. Poppet with O-ring seal (up to 1"). 1/4" 3/8" 1/2" 3/4" 1" 1¼" 1½" 2" 2½" 3"